Protect Yourself From the "Crazy Man Theory"
One topic that has received a lot of attention lately is what some call the crazy man theory of negotiation. This theory says that a rational actor trying to optimize the outcome of a negotiation can benefit from making the other party to the negotiation believe he’s mentally unstable. This perceived instability by one side throws the other side off-guard and confuses their analysis. This confusion can then be exploited to optimize the outcome for the presumed crazy man. A simple illustration is a chess game, the ultimate in rational calculation and decision-making. The two sides in chess are white and black; white goes first. White might open with queen’s pawn to queen’s pawn 4, a traditional opening. Black sees this traditional opening and immediately eliminates 19 other possible openings and thousands of possible second moves by white from his calculations. White has chosen a path but ultimately has given up millions of other paths. Black makes his first move accordingly. White assesses black’s gambit and either proceeds with his original plan of attack or adjusts as needed. The game proceeds from there, rational move followed by rational move until the endgame. But suppose instead black simply raises his forearm and wipes all the pieces off the board onto the floor, looks up at white and says, “Your move, pal.” That’s the crazy man theory in action. I’ve encountered many crazy man negotiators in my four-decade career as a lawyer. I don’t negotiate that way myself, but I’ve seen it in action. Goldman Sachs infamously threw spitballs as I was negotiating the rescue of LTCM in 1998. At one point Goldman lobbed in an offer to buy LTCM, signed by Warren Buffett and Jon Corzine, while Corzine’s people were at the Fed simultaneously pretending to play nice with the Wall Street consortium. That crazy man tactic almost worked until Buffett’s lawyer failed to get Buffett on the phone to approve my required changes (Buffett was on a fishing trip in Alaska with Bill Gates at the time and out of cellphone range). So I told Buffett’s lawyer, “Nothing done” and went back to the Fed’s plan. 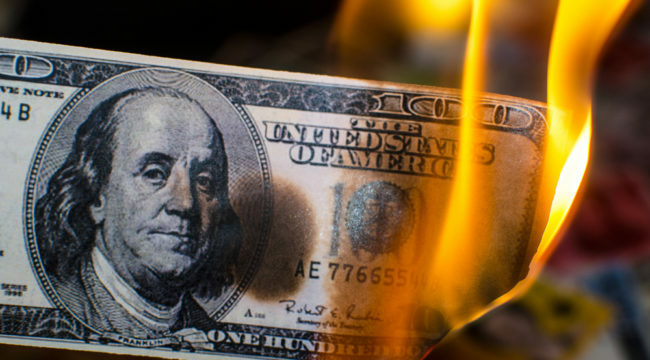 The crazy man also burns up time and energy because your calculations and prior progress are often thrown in the trash. The crazy man literally wears you down. The key attribute for dealing with a crazy man negotiator is patience. Your most powerful weapon is just walking away from the table. That’s how you turn the tables and wear out the crazy man. Still, it’s not easy. One of the greatest challenges for investors today is that there are several crazy man negotiators on the loose. First and foremost are U.S. President Trump, North Korea’s Supreme Leader Kim Jong Un, Israel’s Prime Minister Benjamin Netanyahu and Iran’s Ayatollah Ali Khamenei. I would put other world leaders in the rational camp (more my style) including Russian President Vladimir Putin, China’s President Xi Jinping and German Chancellor Angela Merkel. Of course, the difficulty with this mix of crazy men and rational actors is that you never know when all of the chess pieces will end up on the floor. 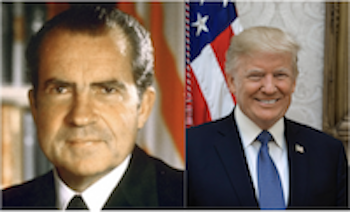 President Richard M. Nixon and President Donald J. Trump have both exhibited what some call the crazy man style of negotiation. The idea is to act in unexpected ways to keep opponents off balance and to leave the impression they may resort to extreme measures if they do not get what they want. Crazy-man negotiating tactics have a long pedigree. President John F. Kennedy took the world to the brink of nuclear annihilation with a credible threat to attack Russia during the 1962 Cuban Missile Crisis. President Nixon shocked the world with his 1972 visit to China, after decades of U.S. isolation of China and Nixon’s long career as a communist baiter. President Reagan literally got up and walked out of the room at his 1986 nuclear summit with Russia’s Gorbachev in Reykjavik, Iceland. A shocked world was unsure whether Reagan was on his way back to Washington to order a first strike. All of these crazy man tactics worked. Russia did remove its missiles from Cuba in 1962. The U.S. did use its new relationship with China after 1972 to isolate Russia and win the Cold War. Gorbachev and Reagan did return to the negotiating table with Russia more willing to sign substantive treaties once they understood U.S. resolve not to be disadvantaged. Yet there’s one crucial difference between the crazy men of yesterday and those today. Kennedy, Nixon and Reagan were all highly intelligent and seasoned negotiators (Kennedy less so than the others), advised by the top strategists at the time including Dean Rusk, Henry Kissinger and James Baker among others. They were highly rational on the inside but found the crazy man posture tactically useful on limited occasions. In short, they weren’t too crazy. Today, it’s hard to tell. Trump and the other new crazy men use irrational posturing almost full time. They are impulsive and don’t seem to listen to expert advice. This makes it harder to see the endgame and harder for the rational players to see through the pose. The chess pieces don’t just end up on the floor occasionally; they more or less stay there. Trump called Kim Jong Un “little rocket man” and threatened “fire and fury.” Kim called Trump a “dotard” and threatened nuclear annihilation of the United States. The Ayatollah Khamenei shouts, “Death to America,” while Netanyahu threatens to destroy Iran’s uranium enrichment capability the minute one centrifuge is turned on. The Iran nuclear deal involving the U.S., U.K., France, Russia, China and Germany took two years to negotiate and was ended in two seconds with Trump’s signature on an executive order. The U.S.-North Korean nuclear talks were on again, off again and on again in a matter of weeks. U.S. sanctions on China’s steel, aluminum and automobile exports are announced, delayed, withdrawn and re-imposed also in a matter of weeks. Meanwhile Xi, Putin and Merkel are biding their time, considering their national interests and occasionally suggesting that maybe it’s time to pick up the pieces and get on with the game. There are many more examples of crazy men on the loose than those given above. Perhaps this posturing will produce beneficial results. Denuclearization in North Korea and Iran and an end to unfair trade practices by China would make the world a safer and more prosperous place. Still, the risks are huge. Any game theorist can explain that the easiest scenarios to analyze are those with two rational players, clear rules and good lines of communication between the players. Each move has a perceptible logic. Chess is an example but so is a nuclear arms limitation treaty between the U.S. and Russia. When one of the players gets crazy, analyzing the game gets harder. The same is true when the rules start to change or when communication starts to break down. Communication is critical; that’s why the “hotline” was installed between the Kremlin and the White House after the Cuban Missile Crisis. In circumstances where rules or communication are degraded, the chance for error and miscalculation spikes. Simple math tells you that the biggest risk of error comes not from one defect in a two-player game but from the shift to a multiplayer game. Negotiations underway today are not just a set of bilateral negotiations but one vast web of multilateral confrontation. What happens with North Korean missiles affects Iran. What happens with U.S.-China trade affects North Korea, and so on. It’s all one game. When the number of players grows from two to three, four or five, the risks of miscalculation don’t grow in a linear fashion; they grow exponentially. When you introduce crazy man tactics into a multiplayer game, the risks of disastrous outcomes are off the charts. This is the world we live in; get used to it. Volatility and geopolitical shocks, if not worse, are here to stay. An investor cannot outguess all of the outcomes. The best path is to allocate your portfolio so it’s robust to every outcome. One of the best ways to do that is with cash and gold. Here’s another, much more direct way to prepare for the unfolding trade war.